Germany rolls out its first hydrogen powered train, made by the French group Alstom which also builds the high-speed TGV. 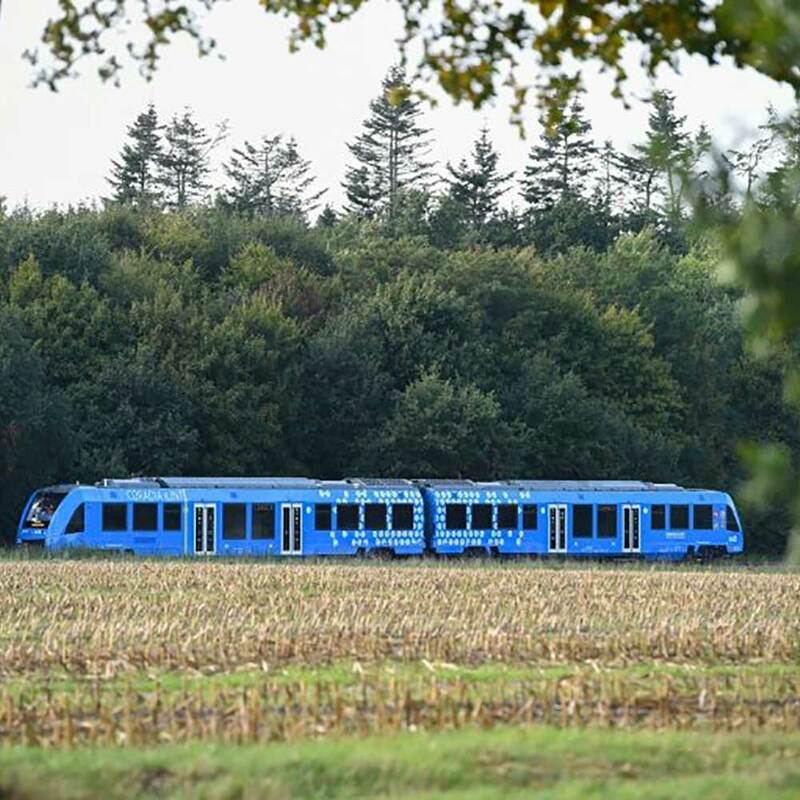 Germany on Monday rolled out the world's first hydrogen-powered train, signalling the start of a push to challenge the might of polluting diesel trains with costlier but more eco-friendly technology. 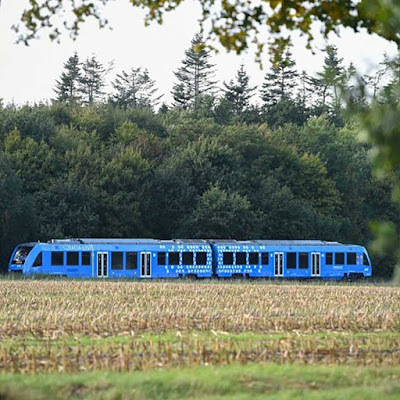 Two bright blue Coradia iLint trains, built by French TGV-maker Alstom, began running a 100-kilometre (62-mile) route between the towns and cities of Cuxhaven, Bremerhaven, Bremervoerde and Buxtehude in northern Germany—a stretch normally plied by diesel trains. "The world's first hydrogen train is entering into commercial service and is ready for serial production," Alstom CEO Henri Poupart-Lafarge said at an unveiling ceremony in Bremervoerde, the station where the trains will be refuelled with hydrogen. Alstom has said it plans to deliver another 14 of the zero-emissions trains to Lower Saxony state by 2021, with other German states also expressing an interest. 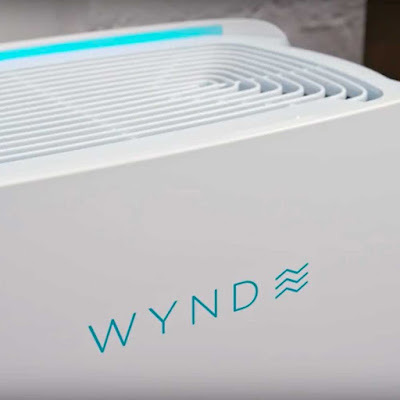 Hydrogen trains are equipped with fuel cells that produce electricity through a combination of hydrogen and oxygen, a process that leaves steam and water as the only emissions. 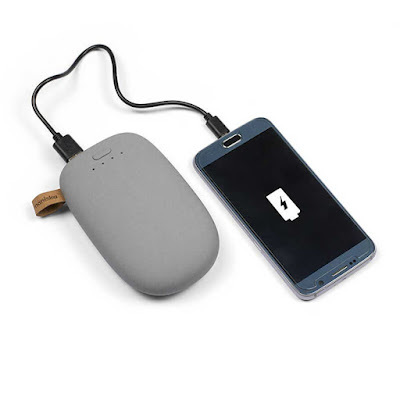 Excess energy is stored in ion lithium batteries on board the train. The Coradia iLint trains can run for around 1,000 kilometres on a single tank of hydrogen, similar to the range of diesel trains. Alstom is betting on the technology as a greener, quieter alternative to diesel on non-electrified railway lines—an attractive prospect to many German cities scrambling to combat air pollution. "Sure, buying a hydrogen train is somewhat more expensive than a diesel train, but it is cheaper to run," Stefan Schrank, the project's manager at Alstom, told AFP. Other countries are also looking into hydrogen trains, Alstom said, including Britain, the Netherlands, Denmark, Norway, Italy and Canada. In France, the government has already said it wants the first hydrogen train to be on the rails by 2022.